With France's yellow vests (gilets jaunes) vowing to continue their anti-government protests across the country Saturday, Korea's Ministry of Foreign Affairs has sent a safety warning to Koreans living or visiting there. "Try to avoid visiting tourist attractions such as the Champs-Elysees avenue, Tuileries Garden and Place du Trocadero as protesters and police are expected to clash in such places," the ministry wrote on Facebook Tuesday. "Please refrain from going out at night and pay more attention to your safety." This came after about 36,000 French people took to the streets on Dec. 1 in protest against rising fuel taxes and the high cost of living. 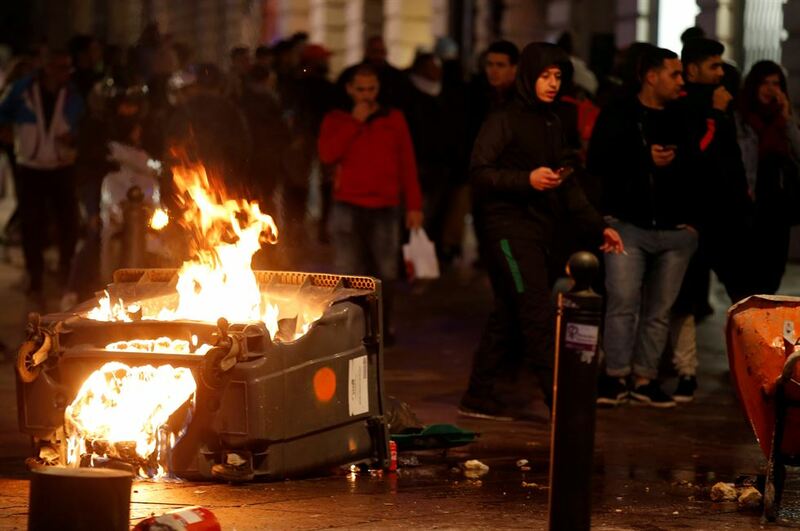 Many violently clashed with police, torching cars, vandalizing stores and burning barricades. The unrest forced the French government into a U-turn on the controversial rise in fuel tax. But protesters demand more concessions from President Emmanuel Macron and say they would not take just "crumbs." The movement, which was sparked by fuel tax increases, is now transforming into a broader demonstration against the government's policies on the redistribution of wealth.